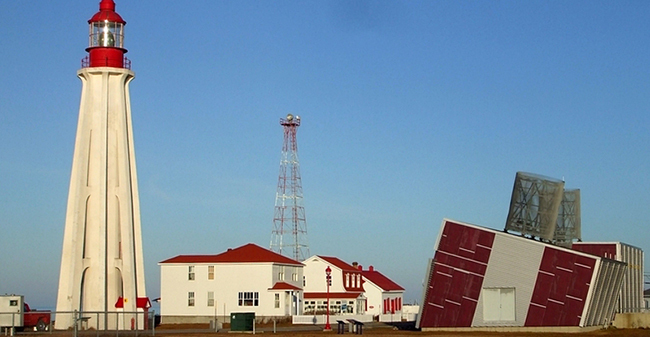 The lighthouse in Pointe-au-Père in Quebec (Canada), has an unusual history. 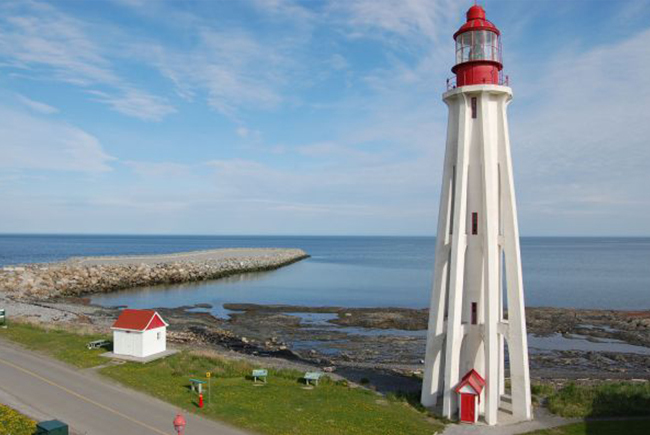 Created in 1909 with the aim of making the coast of the city of Rimouski safer, the lighthouse is part of the station complex of navigational assistance of Pointe-au-Père which was built between 1859 and 1975 on the estuary of the River St Lawrence. This complex is now a museum dedicated to the largest sinking in Canadian history, that of the transatlantic ship Empress of Ireland that sank on May 29 1914 in the estuary of the St. Lawrence River near Rimouski with a budget of 1 012 victims out of a total of 1477 people on board. The wreck of the Empress of Ireland was founded only in July 1964, after an article appeared in the journal Perspectives de la Presse published on the occasion of the fiftieth anniversary of the sinking, which attracted the attention of Canadian divers who went to Rimouski with the intent to find it. Taking into account that it’s easy to get access to the wreck (it lies only 42 meters deep), a large number of diving have been made every year since 1964. Over the past 30 years thousands of artifacts from the wreck have been stolen in an uncontrolled way, making it necessary to preserve this cultural heritage. The pavilion Empress of Ireland in Maritime Historic Site Pointe-au-Père, whose lighthouse is the main building was inaugurated in 2000. Presented here is the collection of objects belonging to the museum and taken from the wreck. In addition, the museum presents a project related to the commemoration of the 100 th anniversary of the sinking of the Empress of Ireland celebrated last year. From an architectural point of view, the octagonal shape with eight buttresses of the lighthouse of Pointe-au-Père is due to Henri de Miffonis, a civil engineer, born in France in 1882 and died in Canada in 1955, specialized in the construction of lighthouses and fervent promoter of reinforced concrete in their construction. Reinforced concrete is the main material used in the building, although in 1909 these construction techniques were only at an experimental stage. 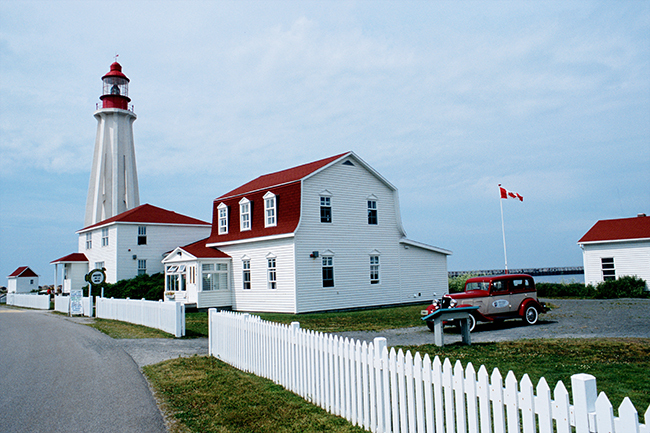 The lighthouse was declared a National Historic Site of Canada in 1974 and in 1990 was declared a federal building heritage. Since 1977, Parks Canada has become the owner of the historic site and, in 1980, the lighthouse was restored. In 1982, Parks Canada signed an agreement with the Musée de la Mer, a local cultural institution, and from that moment, the light has been used as a museum. The first floor of the old caretaker’s house is dedicated to the history of the Empress of Ireland. 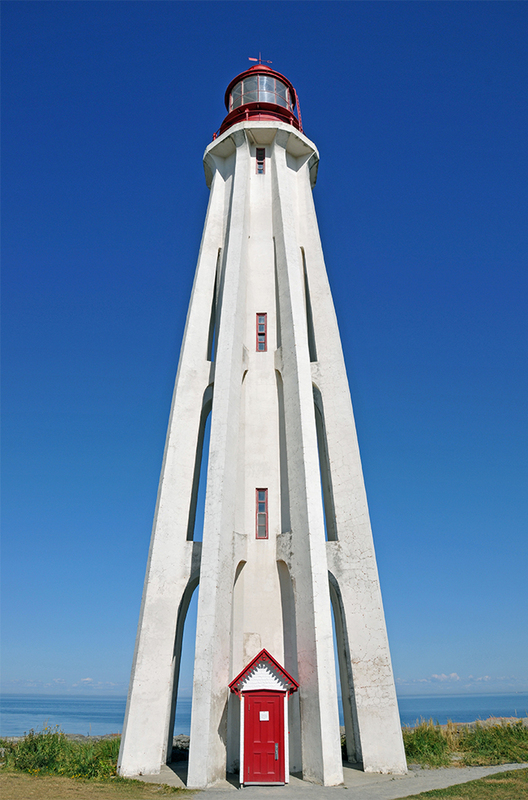 Visitors can also to climb onto the top of the lighthouse to enjoy the extraordinary views of the Atlantic Ocean at 360 °.